Twitter is a confounding medium. Sure, the whole 140-character thing is deceptively easy to understand, even if it’s getting more complicated by the month. But Twitter is probably the toughest widely used social platform to master. That’s why Twitter, for all its promise, continues to struggle against newer, more user-friendly tools like Whisper and Snapchat. There are plenty of reasons to be on Twitter, though. If you’re reading this, chances are good you don’t need any more convincing. What you might need is a quick primer on how to set your Twitter profile apart from the pack. 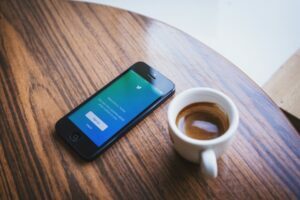 So here goes: six easy tips to get more out of Twitter. Twitter users see hundreds of unique profiles per day. What’s the best way to stop them from passing yours by? A background image that grabs their attention and contrasts sharply with the foreground (profile) image. Even if they stop simply because they can’t figure out what they’re seeing, they’re doing what you want: taking a second look. It won’t stick if it’s not trusted. Make sure the content you share on Twitter comes from authoritative sources and is independently verifiable. There’s a lot of noise out in the Twittersphere, but some things don’t change — trust, once lost, is tough to regain. Chances are good you joined Twitter to promote your business or career, or to position yourself more broadly as an online influencer. Avoid muddying the waters by straying outside your topical comfort zone. Miami entrepreneur George Otte’s Twitter profile is a good example. The self-made businessman sticks mainly to what he knows best—advice about starting and managing businesses. The 140-character limit isn’t a suggestion — it’s a hard limit. But it’s questionable whether your tweets should even approach it, if at all possible. Whenever you have the opportunity to say something in fewer words, take it. Your followers wouldn’t follow you if they didn’t care what you had to say. That doesn’t mean they’ll listen to anything you say, though. The best way to keep an audience engaged is to make them feel like they have some power over your topics of discussion, whether that power is illusory or not. When in doubt, ask questions and respond to thought-out answers. Personality sells. You don’t want to come off as a loose cannon or eccentric, but flirting with irreverence — in small doses, at least — might actually be good for your image. Even if self-promotion doesn’t come naturally to you, you’ll find it a whole lot more fun and rewarding when you allow yourself to be, well, yourself. How many of these tips are you following with your own Twitter profile?